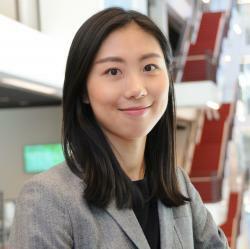 Wenjiao finished her PhD at Frankfurt School in 2018. In September she will be starting as an assistant professor at Erasmus School of Economics in Rotterdam. The association between Chief Executive Officer’s (CEO) incentive-based compensation and financial misreporting is theoretically and empirically inconclusive. We use a refined misreporting sample where earnings management is driven by CEO’s desire to increase compensation gains to investigate whether the desire is triggered by high-powered incentive-based compensation, which leads to misreporting ultimately. We read through the SEC documents of Accounting and Auditing Enforcement Releases (AAERs) issued between 2004 and 2013 to identify misreporting firms where the CEO is overpaid due to earnings management (hereinafter referred to as compensation-related AAERs or compensation-related fraud). We find that the compensation-related fraud cases account for 34.22% of the AAER firms during our sample period. We document within the AAER sample that firms subject to compensation-related AAERs pay their CEOs higher portfolio deltas and vegas than non-compensation-related AAERs. In comparison with a matched non-AAER sample, we find a positive association between CEO incentive-based compensation (measured by delta, vega, and bonus to salary ratio) and compensation-related fraud. Results do not hold when we compare the non-compensation-related AAERs with the non-AAER firms. Earnings Management and Executive Turnover: Does Incentive Matter? Most earnings management studies label earnings management as an undesirable financial reporting practice and thus expect negative market consequences (i.e. greater executive turnover or negative market reaction) of earnings management. However, the association between CEO/CFO turnover and financial misreporting is empirically inconclusive, so as the market reaction to the revelation of financial misstatements. We argue that there is a good side of earnings management, thus the power of the tests related to financial misreporting can be significantly enhanced by further disentangling between good (i.e. efficient) and bad (i.e. opportunistic) earnings management. We read through the SEC documents of Accounting and Auditing Enforcement Releases (AAERs) issued between 2004 and 2014 and identify the incentives of the alleged financial fraud based on information disclosed in AAERs. We then attribute AAER firms to Harmful Incentives Group and Beneficial Incentives Group based on whether the incentives of earnings management are beneficial or harmful to existing shareholders and firms. We find that the turnover rates and forced turnover probabilities are significantly higher for CEOs/CFOs with Harmful Incentives than those with Beneficial Incentives. We also find evidence that market reaction to the release of the SEC enforcement is also significantly more negative for Harmful Incentives Group than for Beneficial Incentives Groups. Finally, we show that firms are more likely to actively disclose the departure of their CEOs/CFOs if these CEOs/CFOs manipulate earnings at the cost of existing shareholders and firms (Harmful Incentives Group). Learn more about the PhD Accounting Conventration.